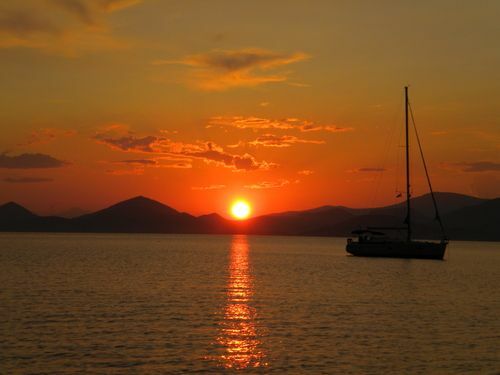 Dokos is one of the most popuar yachting destinations in the Saronic Gulf. 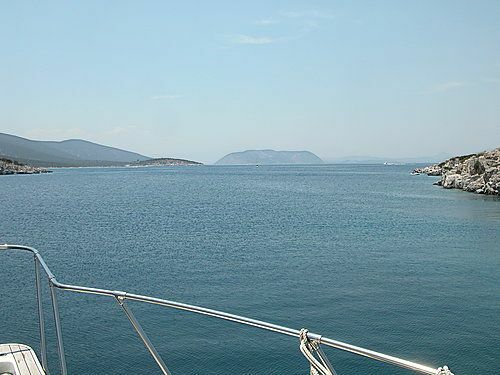 It is an isolated, almost uninhabited, island found between the southern coast of Argolida (Peloponese) and the islands of Hydra and Spetses. 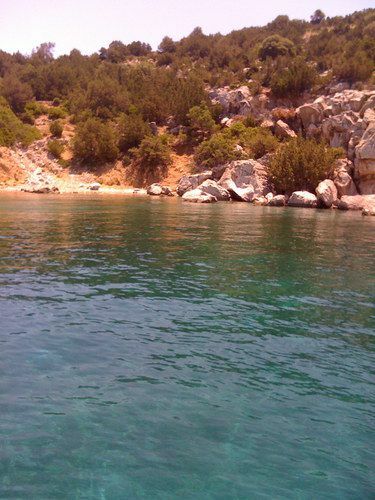 What makes Dokos (or Dhokos) so popular among yachters is the picturesque Skintos bay which offers clear waters and shelter from all winds. 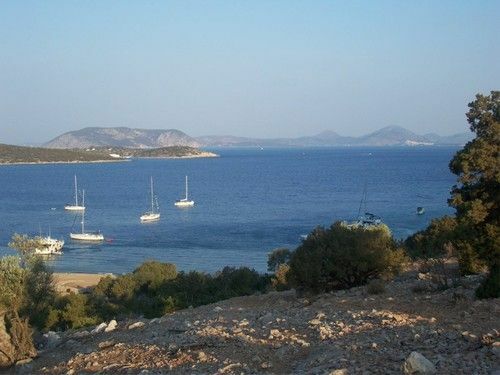 Dokos is ideal for those who love wild landscpes, peace, tranquility and stunning sunset views! 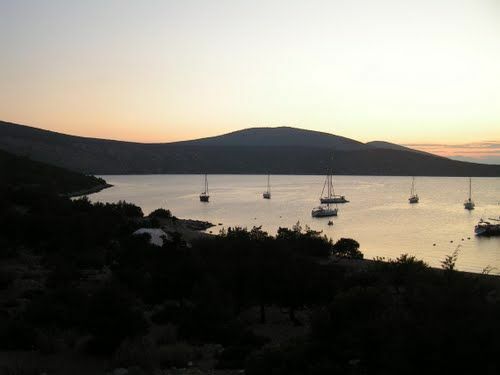 During the daytime, especially in the weekends, Dokos is usually full of yachts. In the evening it usually gets quiet. However the are some more good reasons for visiting Dokos. The island offers important historic findings of more than 8.000 years old and... the oldest shipwreck of the world! A full description of the shipwreck and the history of Dokos is provided below. Dokos has also a small chapel, dedicated to Saint Nicolas and a primitive but expensive family taverna which is not always open. Both are found in the bay of Skinos. If you want to contact the taverna owners, try VHF, channel 9. They usually monitor there. 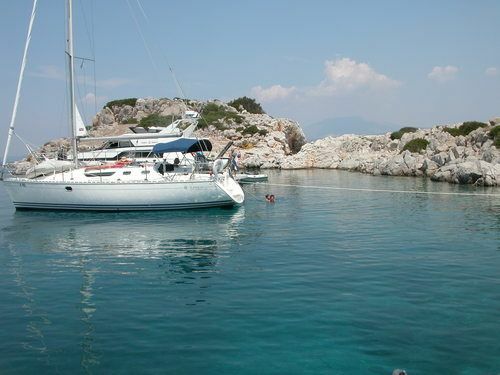 ANCHORAGE INFO: Dokos is an ideal anchorage for those who seek isolation, relaxation and virgin setups. 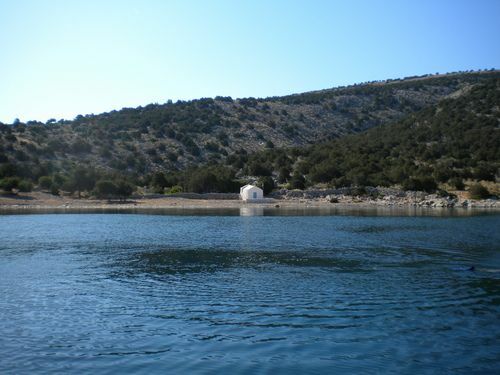 Morover the large bay of Skintos, found on its north, provides shelter from all winds and is ideal for an overnight stay. Skintos has two smaller coves which are found on the east and on the west of its entrance. 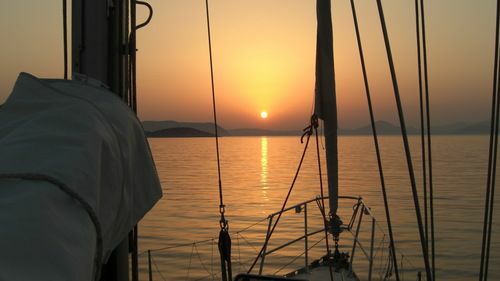 So, depending on the direction of the wind, you will definitely find a leeward and therefore safe, anchorage. The NE cove is fairly deep (apx 20m) and it is quite hard to anchor. However it offers marvelous waters and... the oldest shipwreck of the world, which lies for more than 4.200 years in the bottom of the sea! (see a complete descritpion below). The NW cove has a depth of 3-6 meters, however it does not always offer a good holding. You may also anchor towards in the inner (main) bay. In this case, the eastern side of the coast is suggested. 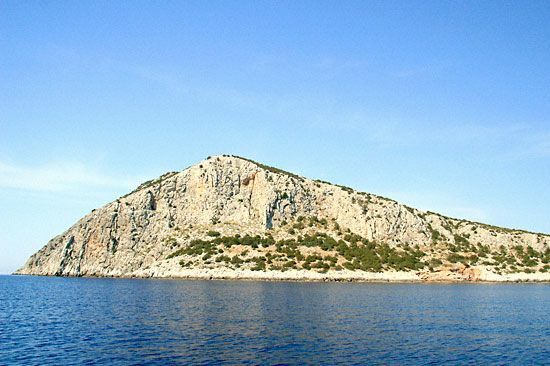 Dokos is a rocky island, reaching a height of 308m. 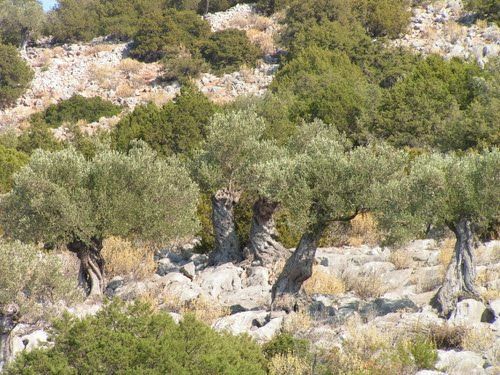 It belongs to the Municipality of Hydra (Piraeus Perfecture) and reported a population of 13 persons at the 2001 census. However the island is isolated and is populated only by some perennial sheep herders. Dokos has an important history, due to its strategic location. Nowdays it has been characterized as an archaeological site and the sea all around is an "archaeological park", beacause it hides the oldest shipwreck of the world. Acording to the archaeological research, Dokos has been populated since the late 6.000 B.C. (Late Neolithic Period). It flourished during the 3rd millenium B.C. (Early Helladic Period) thanks to the development of navigation. 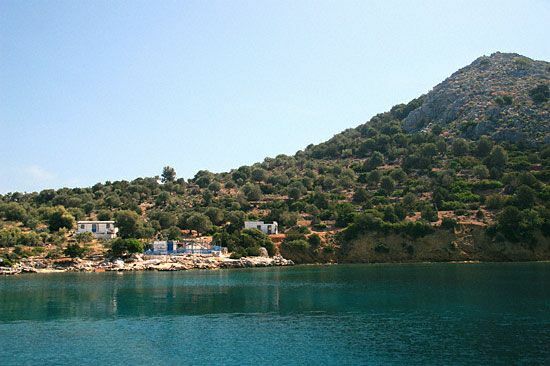 During the glorious Mycenaean period there were two settlements on the island: "Ledeza" and "Kommeni Miti". Excavations have revealed the remains of a Myceanean wall and one hundred houses that lie on the hill (288m), along with pre-historic tombs and walls from the early Hellenistic times. 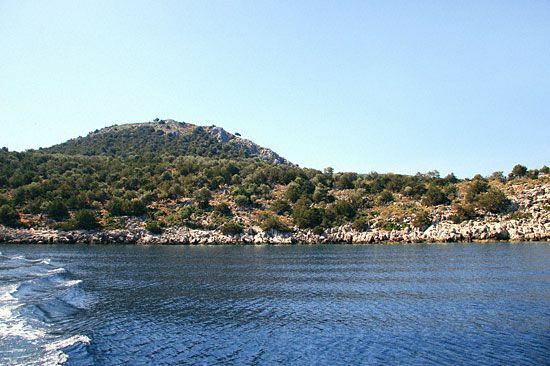 The island was named "Aperopia" from the Archaic times and throughout the antiquity. 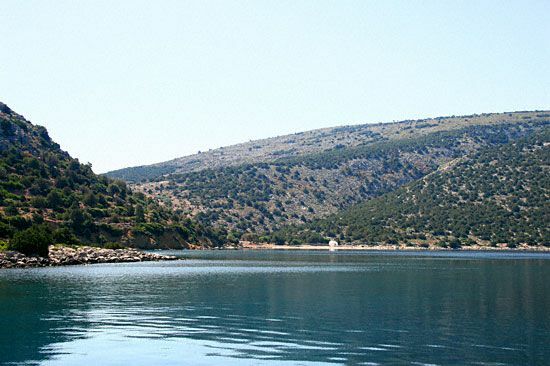 Throughout its history Dokos was a strategic point of great importance, because of its position, in the middle of important sea-lanes, especially those stretching from Cape Malea, the West of Athens, the Northern Aegean and Constantinople. The main route that linked the Byzantine Empire with the West seems to have been under the island's shores. Another historic evidence that reveals the importance of Dokos during the Byzantine period, is the ruins of a great Byzantine castle which was found on its eastern side. The castle was also used and extended by the Venetians. 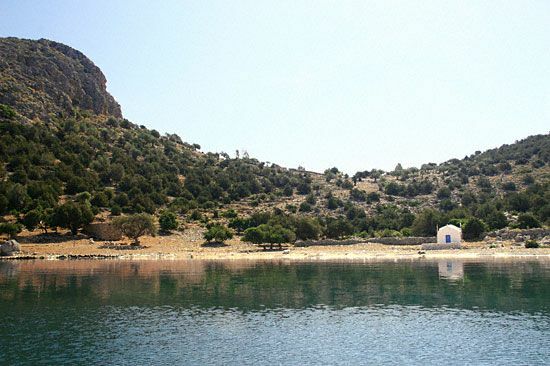 In the Byzantine period many chapels were also built on the island. During the Greek Revolution against the Turks (1821) Dokos was used as a safe port for the fleet of Hydra. In the previous decades there was a querry in Dokos, out of which precious coloured marble was brought. One may still see the ruins of the old loading pier, on the western side of Skintos bay (on its northern edge). The remains of the most ancient shipwreck of the world lies in the seafloor of Dokos! This famous shipwreck was discovered in 1975 and has been dated to the 2nd Proto-Helladic period (2.700 - 2.200 BC). Its remains are located about 15-30 meters underwater, near the northeastern coast of the island. The ship itself is long gone. The remains at the sea floor of a cargo site of hundreds of clay vases and other ceramic items are evidence of the shipwreck. The pottery consisted of hundreds of ceramic pieces including cups, kitchenware, and urns. There were even seven different kinds of sauce boats. There were many amphoras found, as well as basins, wide-mouthed jars, braziers, and baking trays. Stone anchors were also found. These were merely boulders with holes drilled through them. There were also lead ingots used for trade found. The merchant ship had a wide variety of tableware and it is speculated it traded all over the region. During the 1989 to 1992 HIMA excavation the site produced more than 15,000 pottery sherds and artifacts. They also found many millstones at the site that is speculated was used as part of the ship's cargo or possibly as ballast. These artifacts and items were raised from the sea bottom and transported to the Museum of Spetses island. There they will be studied and placed into conservation. For more details please see wikipedia.